The Shetland Space Centre (SSC) has joined forces with Goonhilly Earth Station in Cornwall to develop rocket launch and tracking capabilities for the burgeoning sector. The move – which has seen the two companies have commit to collaborating on a range of projects – emerged just days after SSC announced it had signed up to a major partnership with ArianeGroup, which is owned by Airbus and Safran and is the lead contractor for Europe’s Ariane 5 and Ariane 6 launchers. During a visit this summer, ArianeGroup representatives acknowledged that Unst, Shetland’s most northerly island, was a “perfect location in Northern Europe” to establish a spaceport for launching small satellites and supporting associated services such as data-linking and storage. SSC is pressing ahead with plans to construct a commercial rocket launch centre on Unst and is developing the ground infrastructure. The UK Government and Highlands and Islands Enterprise are also developing plans for a spaceport scheme in Sutherland. 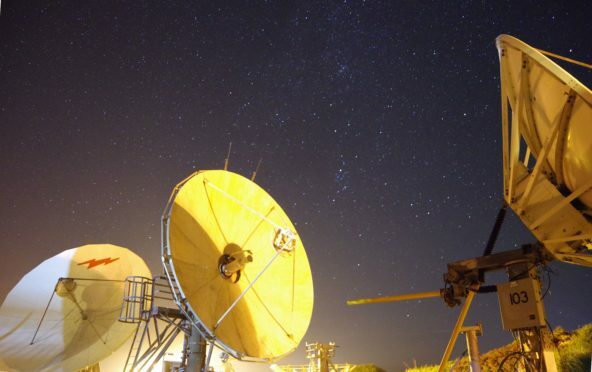 As part of the memorandum of understanding signed by the pair, Goonhilly will invest in and install a new highly capable tracking antenna on Unst, while the two firms will co-develop data centres in both Unst and Cornwall. SSC chief executive officer Frank Strang said: “As soon as we met the team from Goonhilly, we all recognised that there are potentially huge benefits from collaborating. Ian Jones, chief executive officer of Goonhilly, added: “We’re really looking forward to working with the Shetland Space Centre team at this hugely exciting time in the development of UK launch activity. “We’re already working with Spaceport Cornwall to support horizontal launch. “Shetland is the obvious choice for supporting vertical launch – there’s infrastructure, data connectivity and transport links already in place, in addition to the vitally important clear air space towards polar and sun-synchronous orbits.